Hello, Guys, we have great news for those contestants who are seeking for the government job in Uttar Pradesh Jal Nigam. Now, here we are going to share all the detailed information regarding the UP Jal Nigam Clerk Vacancy 2018 in the below description of this article. All the interested and skilled contenders who want to do a Job in Uttar Pradesh Jal Nigam must read this complete article with proper attention and collect all the relevant information from here. 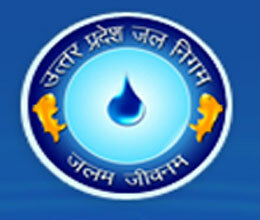 Aspirants may apply online from the official website of the Uttar Pradesh Jal Nigam department that is www.upjn.org. For the latest details, you can check our careerjobs360 page & get all the latest update from here and stay in touch with us for further use. Uttar Pradesh Jal Nigam Department has revealed the employment notification for UP Jal Nigam Clerk Vacancy 2018 for recruiting eligible and skilled candidates for filling up 383 Routine Clerk & Steno Posts in the department. Candidates who are seeking for the latest government job in Uttar Pradesh Jal Nigam then they may apply for UP Jal Nigam Steno Recruitment 2018 from the official website. Interested and eligible candidates may submit their online application form on or before the deadline date which is Updated Soon through online mode of application. Moreover details, related to the recruitment like Academic Qualification, Age Limitation, Age Relaxation, Application Form Fees, Pay Scale, Selection Process and the how to apply online etc in the below article. Uttar Pradesh Jal Nigam Department will soon invite application forms from the eligible and skilled candidates for the various number of posts in the department. Candidates who are going to apply for the given vacancy then they may check the eligibility criteria of the recruitment from the official notification. Here we provide all the details such as age limit, educational qualification application form fee etc. are given below in the article kindly go through it. For routine clerk Posts:- The Interested Aspirants must have to Complete Intermediate and have 25 Word Per Minute typing speed in Hindi and 30 Word Per Minute Typing speed in English. For Stenographer Posts:- The Interested Candidates should Pass Intermediate (12th) and 80 Word Per Minute speed writing with 40 Word Per Minute typing speed on the computer. Age limitations: The minimum age limit for the candidates is 18 years and maximum age limit of the candidates is 40 years. How to Apply for the Uttar Pradesh Jal Nigam Recruitment 2018? Interested Contenders who are willing to apply for the UP Jal Nigam Stenographer Vacancy 2018 they need to read out the official notification carefully before apply online for UP Jal Nigam Recruitment 2018 from the official website of the organization. Here, we are giving some simple steps for your help in the below article. These give some simple steps will help you in applying for the vacancy easily. Find the official link for the Uttar Pradesh Jal Nigam Recruitment Application Form 2018.